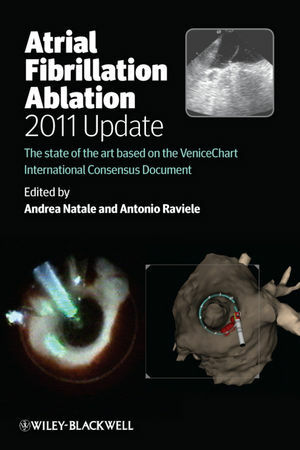 With contributions from the world’s recognized thought leaders in this field, this book is a highly valuable source of information not only for specialists in electrophysiology, but also for general cardiologists, fellows in cardiology and others interested in this dynamic and increasingly important topic. Andrea Natale M.D., F.A.C.C., F.H.R.S., F.E.S.C., Executive Medical Director, Texas Cardiac Arrhythmia Institute at St. David’s Medical Center. A committed academician, Dr. Natale’s faculty positions at a variety of prestigious universities include Duke University and Stanford University. He has been an invited lecturer at more than 200 symposiums and conferences around the world, and is the author or co-author of hundreds of published articles on pacing and electrophysiology. In addition to serving on the editorial boards of numerous medical journals, he is editor-in-chief of the Journal of Atrial Fibrillation. A forefront researche. Dr. Natale focuses on innovative advances in the treatment of atrial fibrillation. His goal is to benefit patient care through technologies such as robotic devices and specialized ablation catheters.